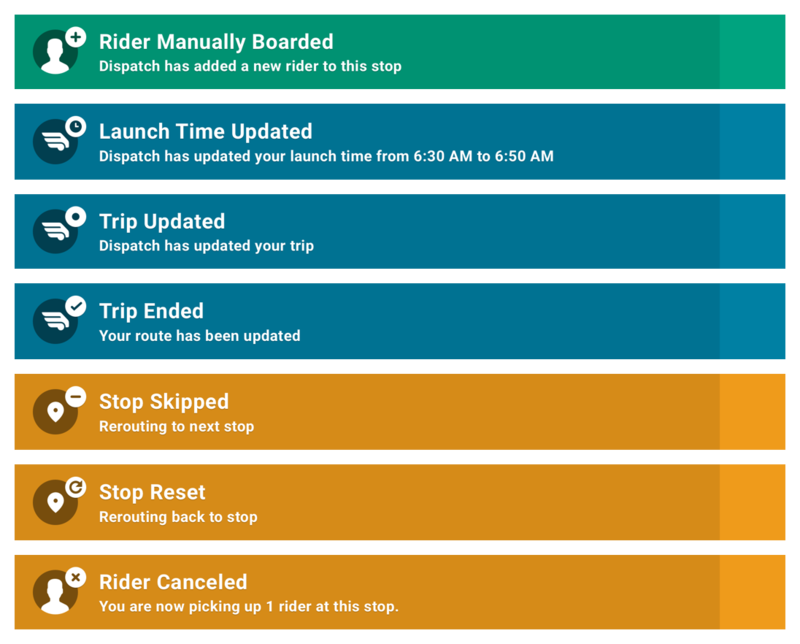 When I started at Chariot, they already had a driver app in production. It had a very basic functionality. It displayed what riders are currently on board, what riders are getting on and off at each stop, and a boarding pass code to identify eligible riders as they board. It also had a push to talk button to allow drivers to communicate with our dispatch team. While it was functional, it was lacking several features that inhibited many areas of the service. 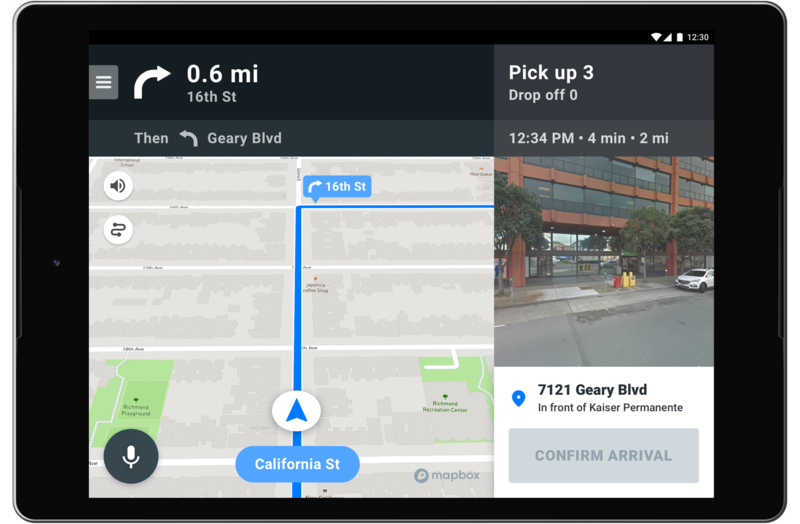 The operations and product teams identified several features that we wanted to include into the driver app, here are a few that we focused on. As drivers are going from stop to stop, they see their route along with turn-by-turn directions and information about their next stop. Currently drivers are trained on a specific route. They must memorize where to drive and where to stop. With navigation built in to the app, they only need to follow the route to be guided to each stop. With the ability to route drivers only to stops that have riders booked for pick-ups or drop-offs, we are able to provide a more cost efficient service. 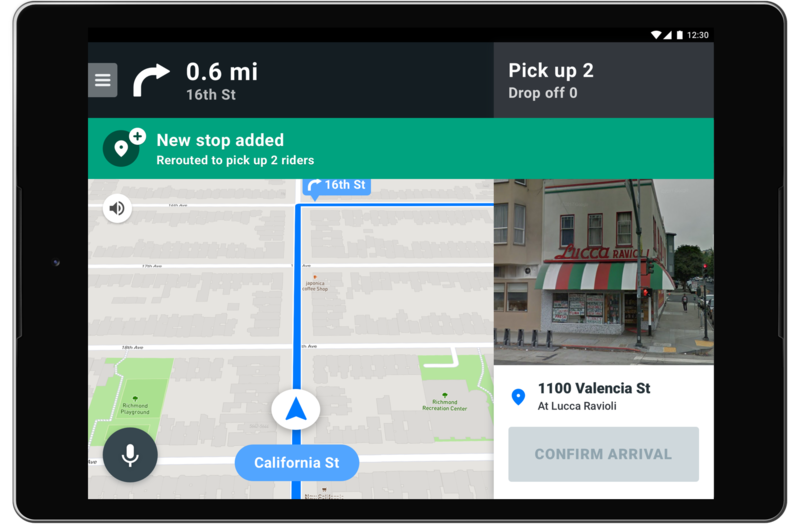 Because we provide navigation within the app, drivers no longer need to switch to Waze to check traffic conditions along their route. When drivers are navigating their route, we needed the ability to audibly inform them on passenger and stop information. Below is a diagram I created as an example for our engineering team. Riders are required to present a boarding pass that has a unique code. 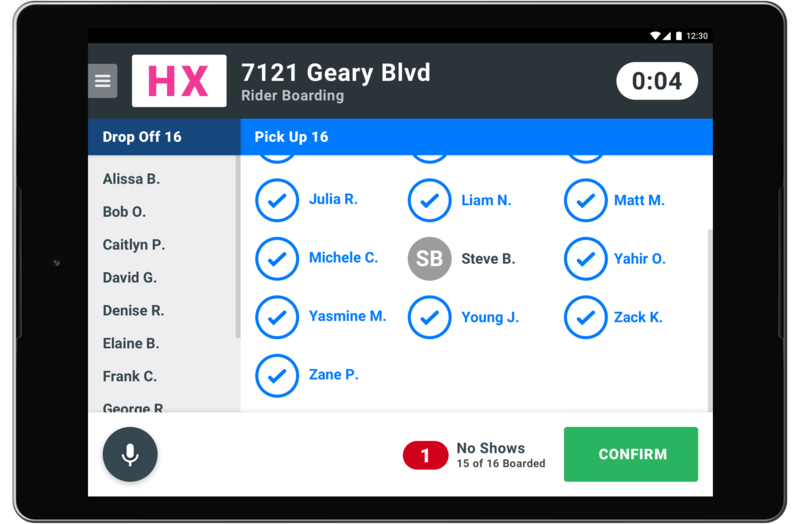 This allows drivers to quickly identify each rider. Riders will be checked off as they board, allowing the operations team to know the exact capacity of a Chariot. We added push notifications to the app to allow for faster communication to drivers from our dispatch team. The placement of the notification banner keeps important turn-by-turn directions from being covered. Notifications are paired with a tone, as well as text-to-speech that will read out the action of the notification. This allows for drivers to keep their eyes on the road with needed to read the notification as it appears on the screen. 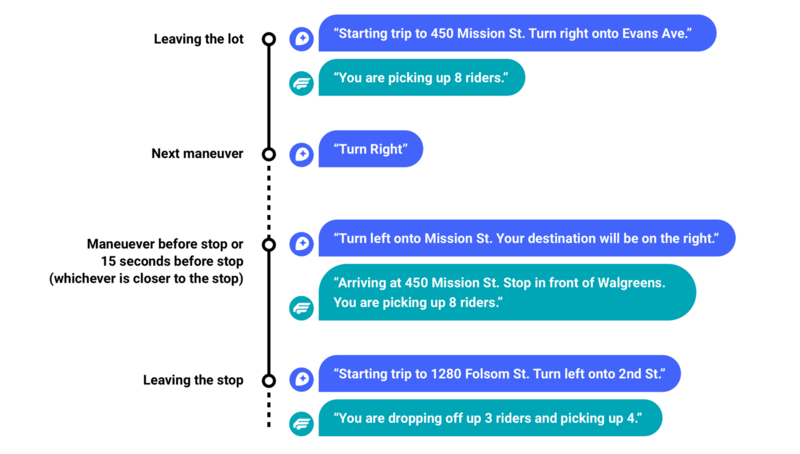 Throughout the design and development process I created many prototypes to user test in the field with our Chariot drivers. This shaped much of the direction of the app and guided us towards a streamlined user experience. I'm happy to share some of the findings in person. Thanks for reading!